If you’ve made it this far into the Togura-Kamiyamada Onsen audio tour, you’re probably ready for a break. Stop 30 is the perfect place. Shiokawa makes manju – those ubiquitous pastries filled with sweet adzuki bean paste that you’ll find in onsen areas throughout Japan. Shiokawa also makes apricot sundaes, featuring our area’s tangy apricots that go so nicely with the smoothness of vanilla ice cream. Take your apricot sundae and walk a block south to the Kara-Koro Footbath. Your feet deserve a soak after that long tour. 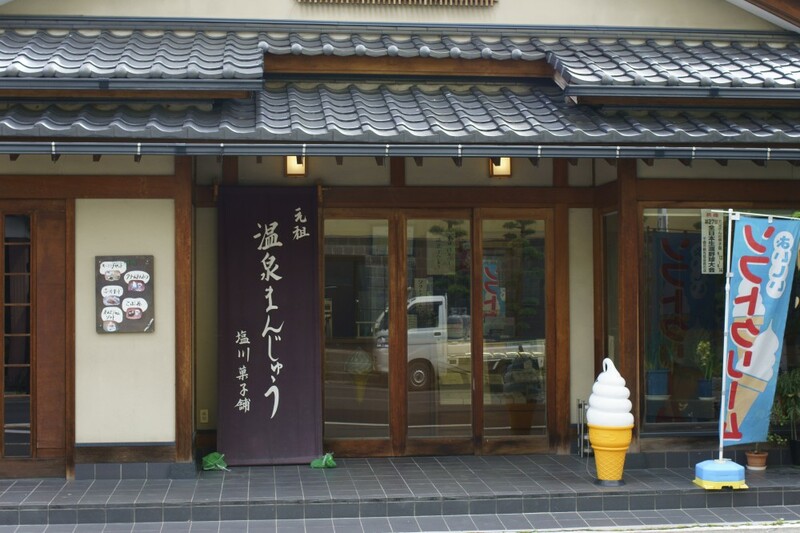 Indulge in the wonderfulness of the ice cream as your feet rejuvenate in the onsen water, and reflect on all the new memories you made here at onsen town, Togura-Kamiyamada.